When a car is about to die its natural death, most car owners scrap it off and replace it with a new one. However, we enthusiasts try to do our best to bring it back to life instead of just disposing of something close to our hearts. 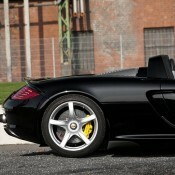 Here is one such car lover who took his dying Porsche Carrera GT to Dr. Porsche Classic for a thorough restoration. Car customization can make your dreams come true – even if that dream is turning your mid-80’s domestic into a Porsche supercar. Case in point is this, uh, unique Pontiac Fiero, which someone transformed into a hilarious parrot of the Porsche Carrera GT. The best part is that it’s listed on Ebay UK, so if you really want it, and have an extra $16,881 to spare, it could be yours. Don’t worry, we won’t judge you. The death of Paul Walker almost four years ago still leaves a bad taste in a lot of people’s mouths. Well, if closure is what we need, we might have finally gotten it after the late actor’s daughter, Meadow Walker, has come to a settlement with Porsche, finally putting to bed the wrongful death lawsuit she filed against the German automaker. There’s no question that the legal battle between Meadow Walker and Porsche looked as if it was going to get ugly at some points. Both sides stood their ground and from afar, it became quite uncomfortable for a lot of people to choose sides between the two. Fortunately, the settlement eventually won out and all parties involved – Meadow Walker, Porsche, and those directly and indirectly involved in all of the proceedings – can now move on and leave all the legal mess behind. It’s been a long four years for those people and I can only hope that they can find peace knowing that this dark chapter in their lives is now on the verge of getting closed. And for his part, Paul Walker deserves to rest in peace. Now that he knows that his daughter will get hers, he may finally get to do that. We all still miss you though, Paul. 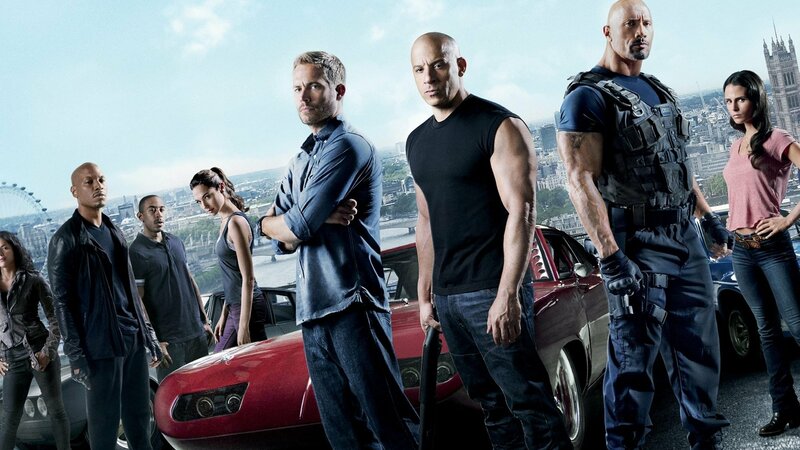 Look what the Fast and Furious franchise has become without you. 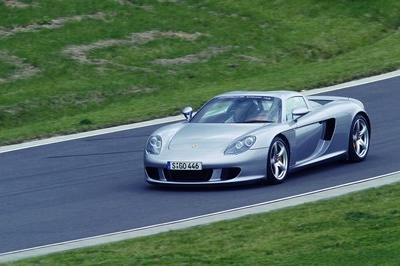 Read our full review on the 2004-2007 Porsche Carrera GT. According to a statement released by Milam, the agreed-upon amount covers “a fraction of what her father would have earned as an international movie star had his life not been tragically cut short.” Walker’s tragic death happened in November 2013 when Rodas lost control of a 2005 Porsche Carrera GT that was traveling at speeds of as much as 93 mph. The Carrera GT ended up slamming into trees and a utility pole before burning beyond recognition. Numerous investigations about the crash determined that Walker survived the impact but was burned to death. With this case apparently closed, the younger Walker and her legal team are turning their attention towards a separate lawsuit filed against Porsche AG. A separate lawsuit filed by Rodas’ widow, Kristine Rodas, against Porsche ended with a federal judge ruling in favor of the automaker because there was not enough evidence to support Rodas’ claim that the Carrera GT’s suspension had failed and that it didn’t have a racing fuel cell and crash cage. Meadow Walker’s lawsuit against Porsche is still ongoing, but if the results from the Rodas suit are any indication, her lawyers will need to present more competent evidence against Porsche to show that there was some wrongdoing on the part of the German automaker. 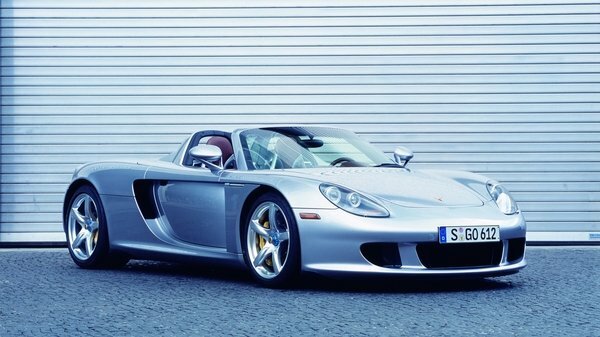 Of all the supercars launched in this century, and that includes the new flock of hyper cars, the Porsche Carrera GT is still one of the coolest and most desirable. So it’s quite an occasion every time one of these things becomes available for sale. 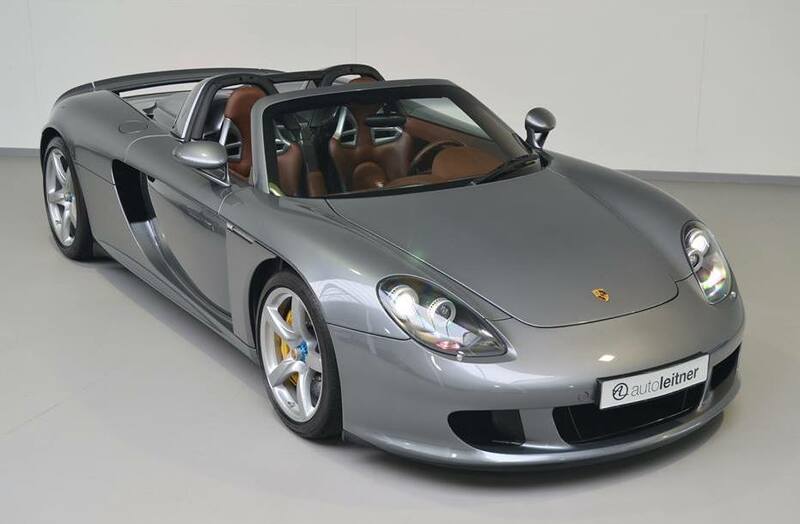 This 2004 Porsche Carrera GT in Silver Metallic with a black leather interior is going under the hammer later this month at Silverstone Auctions’ classic car sale at Race Retro. It has 18,018 miles on the clock, has been regularly serviced, and spent the best part of its life in America. Naturally the GT is fully loaded with items like air-conditioning, CD player with Bose HiFi, Porsche Online Pro Satellite Navigation, adjustable steering column, electric windows, buckets seats, and carbon ceramic brakes with yellow calipers. 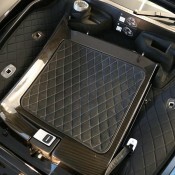 This example also comes with a luggage set including a leather suit carrier, a leather briefcase bag and a leather day bag and a RUF suspension lift system. Even though it’s well over a decade old and has a not-so-sophisticated manual gearbox and race-bred V10 engine, the Porsche Carrera GT can still hold its own against most of today’s million-horsepower hyper cars. It also delivers a much more engaging and thrilling driving experience than most. This GT is estimated at between £400,000 and £450,000. 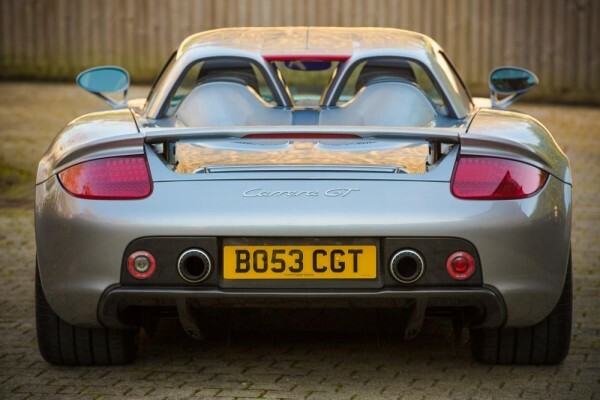 The post 2004 Porsche Carrera GT Up for Grabs appeared first on Motorward. 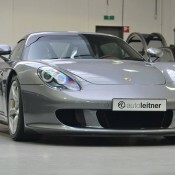 Dutch super car dealer Auto Leitner has added to its inventory a 2004 Porsche Carrera GT which, to all intents and purposes, is the most nicely specced example we’ve ever seen. 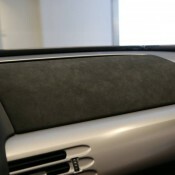 It’s a Seal Grey CGT with Ascot Brown leather interior, and it has only 1,200 km on the clock. So here’s an almost new Porsche Carrera GT with the coolest exterior/interior color combination ever, and if you can afford to spend a seven-figure sum on a car you must be asking yourself now should I get this or a Porsche 918 Spyder? Well, if you can afford to spend a seven-figure sum on a car, you can probably afford to buy them both. But if we were told we can only choose one of them, it’d be, without a question or shadow of doubt, the Seal Grey Porsche Carrera GT. The 918 is nice and all, but the CGT is already a classic. It has a V10 engine that was designed for Le Mans racing for God’s sake, and it has a manual gearbox with a beechwood gearknob that reminds us of a much nicer time. And then, of course, there is those specs. 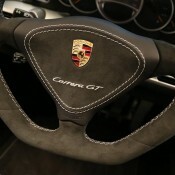 We always fancied a CGT in black with beige leather interior when we were kids. But as grown-ups, this is what we are fancying now. It’s still pretty much a fantasy, but hey. 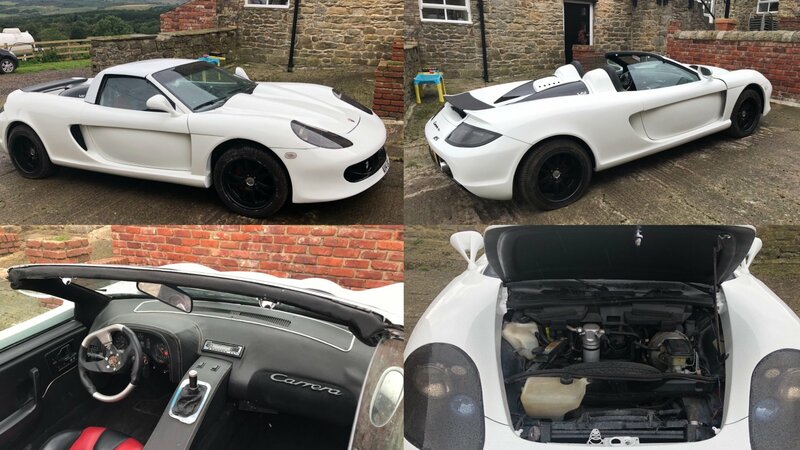 The post Seal Grey Porsche Carrera GT Spotted for Sale appeared first on Motorward. Meadow Rain Walker, the 16-year-old daughter of Paul Walker, has filed a wrongful death lawsuit against Porsche. 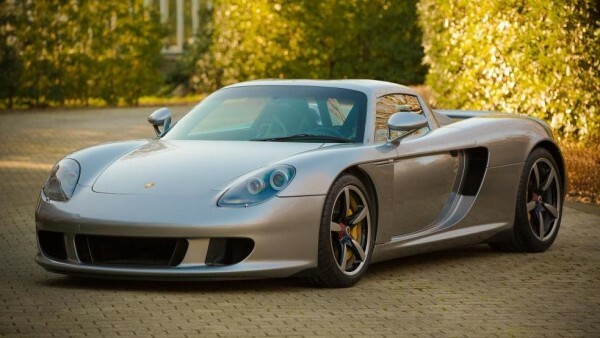 The lawsuit claims the Carrera GT Walker was riding in when he died had design flaws that made it unfit to be driven on the road. Walker’s lawsuit also claims the Porsche supercar “lacked safety features” that could have saved the life of her father and his friend, Roger Rodas, when the Carrera GT caught fire after hitting a pole back in November 2013. The crash and resulting fire burned Walker and Rodas. 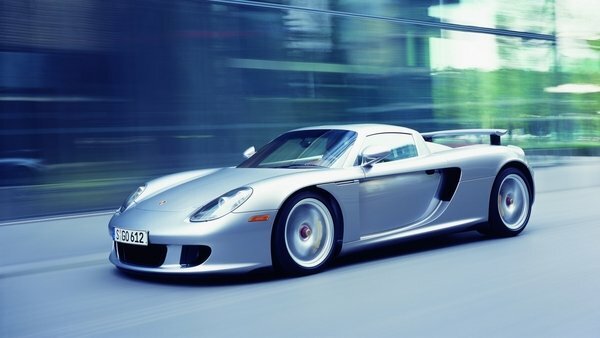 Shortly after the filing of the lawsuit, Porsche responded by maintaining the Carrera GT’s innocence in the crash, pointing to the investigation by the Los Angeles County Sheriff’s Department that concluded that the crash that killed Walker resulted from “reckless driving and excessive speed.” The company did say that it had not reviewed the lawsuit, but declined making comments relating to the case. Regardless of the validity of the lawsuit’s claims, it’s hard not to understand why Meadow Walker has filed it. She lost her father in a car that has earned a reputation for being impossible to drive despite the amount of technological features it had when it was launched in 2004. 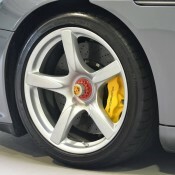 Former Top Gear host Jeremy Clarkson compared the car’s handling to being on the “knife’s edge” during a review of the Carrera GT back in 2008. On the flip side, Walker, Rodas, and everybody who has driven the Carrera GT know what the supercar is capable of. Proper caution should have been of utmost importance, especially if it was going to be driven out in public. The results of the investigation have already cleared Porsche and the Carrera GT from any responsibility, so it’s going to be interesting how this case moves forward. German tuner Edo Competition has worked on a good number of Porsche Carrera GTs over the year, enhancing the looks and feel of them while leaving the exterior untouched. 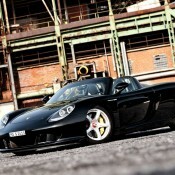 That is the case with the latest Edo Porsche Carrera GT, which is a black model with custom interior and exhaust system. 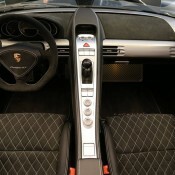 Needless to say, this Edo Porsche Carrera GT is the finest example we’ve ever seen in terms of interior trim. 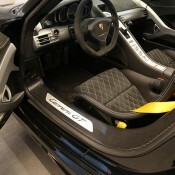 Not the standard cabin of the CGT is bad or anything, but Edo’s look utterly magnificent what with the reupholstered Alcantara seats featuring contrast diamond stitching, carbon fiber chassis, and yellow safety belts. You will find the Alcantara on the steering wheel as well, complete with stitching and Carrera GT lettering, complemented with a healthy dose of the same material on the dashboard and door cards. 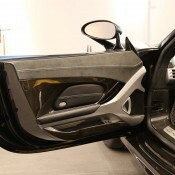 For good measure, the trunk of Edo Porsche Carrera GT is lined with Alcantara as well. Performance-wise, Edo can hook you CGT up with three stages of power upgrade including 670 hp/640 Nm, 715 hp/660 Nm, and 770 hp/690 Nm, 3-way adjustable edo/KW Competition shock absorbers, high performance brakes, and 18-inch forged wheels with high performance tires. 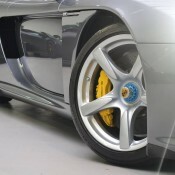 The post Gallery: Edo Porsche Carrera GT appeared first on Motorward. 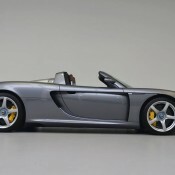 Porsche Carrera GT originally appeared on topspeed.com on Wednesday, 10 June 2015 08:00 EST. First of all, no prizes for guessing the winner of this drag race between a Porsche 918 Spyder and Carrera GT. It’s not even close. 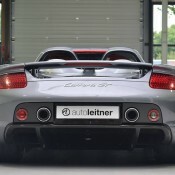 The 918’s all-wheel-drive, hybrid powertrain is no match for the rear-wheel-drive, V-10-powered Carrera GT. The hybrid gaps the GT right off the line and never looks back. 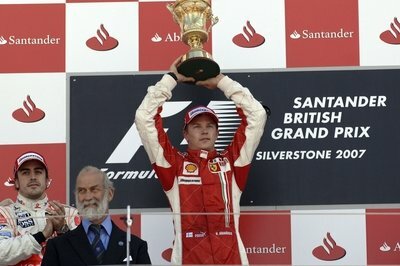 But this is a more than a battle between Porsche supercars from different eras. It’s a meeting of old and new, analog and digital, Pepsi and Crystal Pepsi. In addition to being the closest thing on four wheels to sounding like a Tie Fighter, the Carrera GT is still an awesome car. With 612 horsepower from its 5.7-liter engine, it’s out-powered by many of today’s entry-level supercars, but, unlike more modern machinery, it isn’t a car to suffer fools. 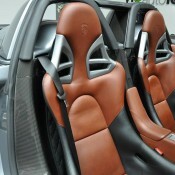 Its ceramic clutch is temperamental at low speeds and, like a race car, it’s a twitchy beast, prone to snap oversteer. It even has a six-speed manual transmission (a manual!) with a wooden shift knob inspired by Porsche’s 917 Le Mans racers. Did I mention the noise? The 918 Spyder is an amazing piece of technology that not only proved hybrids didn’t have to be boring; they could also be brutally fast. Working with its 4.6-liter V-8, the 918’s electric motors, advanced algorithms and sensors all shuffle data around to make it faster than just about anything on the road. Objectively and by every measure it dominates the Carrera GT, which only had traction control to prevent you from looking like a fool. Call me old-school, but I’ll take the Carrera GT every time. What about you? 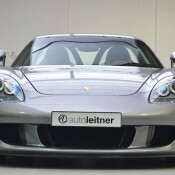 Porsche Carrera GT Vs. Porsche 918 Spyder: Video originally appeared on topspeed.com on Friday, 29 May 2015 12:00 EST. This is one of the head to head tests we’ve been waiting to see ever since Porsche announced the 918. It’s a Porsche Carrera GT vs Porsche 918 Spyder drag race and we are keen to see it not because we think the good old CGT stands a chance to beat the more powerful, all-wheel-drive 918. We are looking forward to this because the noise sandwich these two are bound to make should be pretty awesome. So without any further ado let’s jump right in and have a listen to some of the best exhaust notes in the known universe. We have to say, even though we knew the CGT was going to lose the drag race, it still kind of hurt to see such a great car get such a kicking, and from a sibling no less! 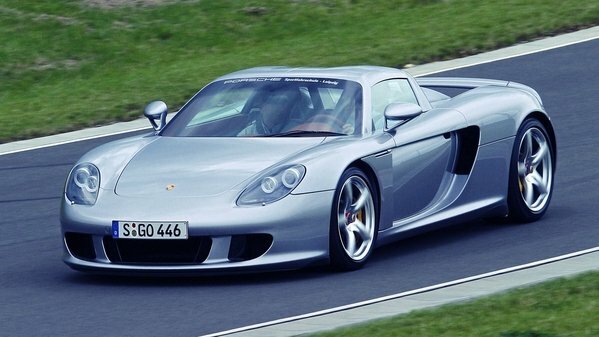 Just to refresh your memory, Porsche Carrera GT is powered by a 612 horsepower V10 engine mated to a six-speed manual gearbox with a lovely beechwood gear knob that drives the rear wheels via a small carbon and kevlar clutch. 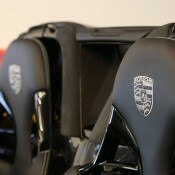 The 918 Spyder, meanwhile, has a V8 petrol engine, an electric motor, and another electric motor. Together, and with the help of a 7-speed dual-clutch transmission, they distribute 887 horsepower between all four wheels. 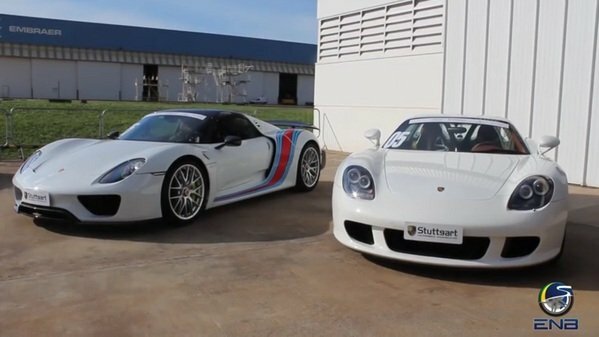 The post Porsche Carrera GT vs Porsche 918 Drag Race appeared first on Motorward.